There has been a lot of information given regarding the next expansion, Battle for Azeroth. To make this information easier, we have scoured the interwebs to round up everything we know about the next expansion. The next expansion will be focused on Alliance and Horde waging war against one another for both land and resources which ultimately lead to power. Each faction will be fighting for its survival focusing on gaining allies to each faction's cause. The level cap will be raised to 120. The character boost will be level 110. The Legendary system will not be moving into the expansion. The Zone scaling will be the same as it was with Legion, allowing you to choose where you level. Class raid/party buffs will be returning! Vampiric Aura: Party and raid member within 40 yards steal life from their targets, increasing Leech by 5%. Demon Speed: Party and raid members within 40 yards are infused with demonic speed, increasing haste by 3%. Mark of the Wild: 200 Mana, 40 Yard Range, Instant Infuses a friendly target with the power of the wild, increasing their Versatility by 3% for 1 hour. If target is in your party or raid, all party and raid members will be affected. Arcane Intellect: 200 Mana, 30 Yard Range, Instant Infuses the target with brilliance, increasing their intellect by 5% for 1 hour. If target is in your party or raid, all party and raid members will be affected. Legacy of the Emperor: 20 Energy, 40 Yard Range, Instant You extol the words of the last emperor, increasing mastery by 54. If target is in your party or raid, all party and raid member will be affected. Devotion Aura: Party and raid members within 40 yards are bolstered by their devotion, increasing armor by 10%. Power Word: Fortitude: Infuses the target with vitality, increasing their Stamina by 10% for 1 hour. Expose Armor: Your [generators] expose weaknesses in the target's armor, increasing Physical damage taken by 5%. Curse of the Elements: Your damage curses the target, increasing magic damage taken by 5% for 1 min. Battle Shout: Increases the Strength or Agility of all raid and party members within 100 yards by 5% for 1 hour. There will be a stat and ilvl squish. When we did the demo for the new dungeon, our demo gear was ilvl was 185. For some perspective, Heroic dungeons that would normally give ilvl 865 gear, will see ilvl 200 instead. There are 2 new continents featuring 3 main zones each to explore. You will level in your faction's zone. The rest of the World will open up after you reach 120 along with World Quests and Emissaries. Kul Tiras is a powerful ancient human kingdom with a very large and sought after naval fleet that the Alliance needs. It seems they also have a slight pirate issue. Boralus is the capital of Kul Tiras. This will be the Alliance hub. Ruled by House Proudmoore or more notably Katherine Proudmoore, Jaina's mother. This sadly should squash the Dreadlord Jaina Rumors. Unless of course, Katherine is also a dreadlord. The Lord and Lady Waycrest have gone missing. This is a forested & mountainous zone that is also cursed. Humans slaughtered the race that lived here, the Drust, and took their land. Provides arms to Kul Tiras. This is a very lush and green zone. Provides ships to Kul Tiras. Construction on the ships has been halted recently due to unknown troubles. An ancient Troll empire whose naval force surpasses Kul Tiras. Zandalar is in the midst of a civil war that will need to be dealt with before we can call on them for help. This will be the Horde hub. Ruled by King Rastakhan & Princess Talanji. A festering swampland that is sinking because it was damaged during the Sundering. Residents in this zone are Blood trolls. Houses ancient titan secrets inside a top-secret facility used to research old gods. Also houses a tool to destroy all life on the planet. Once was a thriving jungle but is now a desert zone. Zandalar exiles their criminals here to die. Various Zandalari vagabonds and unclean riffraff. The Vulpera aka Fox people, which we will befriend. The Sethrak, which we will face off with. With this expansion being an all-out war between the two factions, we will need to recruit allies to help us. For this, we will be unlocking Allied races. There are 6 Allied races that we know of now, but they did state there will be more as this is developed. You will unlock each race specific to your faction as you progress through the story. Wowhead mentions we can start on part of the requirements needed to unlock these races now as it is likely tied to rep for those factions. The new Allied races will have racials. With them adding new Allied races for us to create, they will be adding an additional 6 character slots per realm. Increasing the account cap from the current 50 has not been mentioned. Once you level an Allied race to 110, you will unlock Heritage armor that is specific to that race. This is not true for those race changing a current max level to an Allied race. Large battles set in war-critical locations that will have a Warcraft 3, RTS base. There will be 20 player co-op raid vs NPC’s. You will gather resources, build structures, perform research upgrades and lead troops to victory by taking territory. Rewards are unknown except for the mention of vanity armor. Small battles that will be used to explore various uncharted isles throughout the Great Sea. 3 player cooperative replayable scenarios that have varied and dynamic objectives racing against AI opponents of the opposite faction for resources/treasures lasting about 15 to 20 minutes. Tactical AI technology is being tested. The AI will have an understanding of map objectives, a solid sense of strategy, and have personalities. Reminds me of SKYNET. These will not role dependent. You can also opt to battle against other players. They will be updating the World PVP system for 2017 since it has gone untouched since 2005. Ultimately they want to improve and build up World PVP. They are removing the PVP/PVE server division. This will put the power in your hands with a toggle for World PVP that is only changeable when you are in a major city. If you have PVP mode enabled, they plan on making it worth the effort. This could be xp bonus while leveling, or honor gains. But we do not know much at this point. We will see previews for this in PTR soon as it will tell the pre expansion story. New PVP Brawls will be added. This necklace will be the new focus for player power progression throughout the expansion as they are not bringing the weapons into this expansion. You will use Azerite to empower & level up the necklace, replacing Artifact Power. The necklace will automatically absorb Azerite that is nearby vs taking up bag space. 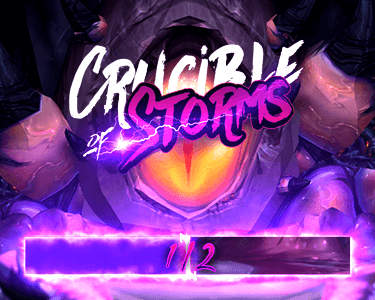 This will work similar to the Netherlight Crucible, you will need to reach certain levels in order to unlock traits that make your gear more powerful. The goal is to make these traits more personal in nature so that each player can choose what suits them. There will be 10 new dungeons along with Mythic Keystone updates. Horde and Alliance will have separate level-up dungeons. Blizzard posted this list of dungeons which I have highlighted here. Freehold – Located in Tiragarde Sound, Freehold is full of bandits, thieves, and other denizens of the underworld. Waycrest Manor – Located in Drustvar, Waycrest Manor was the ancestral home of one of the most powerful families in Kul Tiras. Tol Dagor – This prison island is located off the coast of Kul Tiras. Shrine of the Storm – Located in Stormsong Valley, priests of the sea bless newly constructed ships before they set out on their journeys across the ocean. Siege of Boralus – Like the Court of Stars dungeon, this will be a maximum level dungeon set in the cityscape of the Tiragarde’s capital, Boralus. Atal’Dazar – Located in Zandalar and nestled in the mountains of Zuldazar, Atal’Dazar is the ancient resting place of the Zandalari kings and home to a sect of trolls engaged in dark rituals—along with dinosaurs, undead, and undead dinosaurs. Temple of Sethraliss – Located in Vol’dun, this temple is a sacred place to the snake-like Sethrak people. The Underrot – Located in Nazmir, this subterranean dungeon is a primary source of corruption in Zandalar. King’s Rest – Located within Atal’Dazar, this is the interior tomb of ancient kings who have been put to rest. Kezan – This maximum-level dungeon is a bit further afield from Kul Tiras and Zandalar. The goblins have heard word of Azerite and its value and have started digging deep into Azeroth to gain more of it. Players will return to Kezan after years away to discover how it’s changed. There was 1 new raid mentioned which is Uldir, Halls of Control. Queen Azshara will be a future raid boss. We do not have a release date for the expansion. We do not have a release date for alpha/beta. We will likely not get the dates above until we have received the final patch for this expansion. And finally, everything you saw here is current given what we know today. There will be a lot of changes as this is developed. This covers what we know so far for Battle for Azeroth. While we do not have a ton of information right now, we would like to know what you are most looking forward to with the new expansion? Special thanks to Wowhead for being a huge source of BlizzCon information regarding the new expansion.